UPDATE: City of Cocoa Government Utilities Department has identified a large main break on a 36 inch water transmission main along the State Road 520 corridor. Crews are isolating the break this morning. Water should begin to rise in the in South Cape Canaveral and Cocoa Beach to Patrick Air Force Baase. Later today, the Utilities Department will attempt to establish water pressure to Merritt Island. Although the water is being restored, some sewage lift stations are not operational. So officials ask that residents do not do laundry, run the dishwater, or other uses, that increase the amount of sewage flow and could cause backups. The flushing of toilets is O.K. BREVARD COUNTY, Florida - The Cocoa Utilities Department has established interim water pressure for customers on the mainland which includes Port St. John, Cocoa, Rockledge, Viera and Suntree, as of 8:30 p.m. on Monday, September 11, 2017. As utility crews continue to identify water main breaks and test the system's integrity, customers may see pressure fluctuations which officials say is normal. The Brevard County barrier islands in Merritt Island, Cape Canaveral, Cocoa Beach, Kennedy Space Center, Cape Canaveral Air Force Station, and Patrick Air Force Base do not have water pressure at this time. Crews are continuing to work toward establishing normal system pressures as quickly as possible. 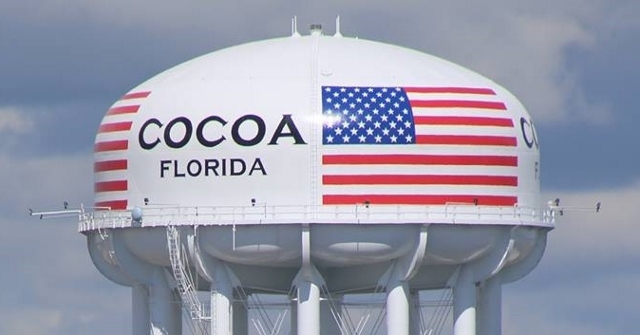 The entire Cocoa Utility System is still under a Precautionary Boil Water Notice.